My friend Liz has a busy busy toddler (it's high time for him to have a stage name--maybe "Bounty" because he likes carrying paper towels? I'm open to suggestions....). So when Liz comes home from the grocery store it feels like a race to empty the bags and put things away before Bounty excavates the cupboards and fridge. What to do? She just started a game with him that really works (he's 14 months old, BTW). She gives him two bags, leaves an item in each one and asks him to put them away. He dutifully follows instructions and wants to be Mr. Helpful. He ESPECIALLY loves it when Liz buys paper towels, as this is the "age of maximum effort" (or something like that? 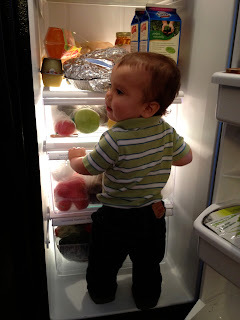 ), when toddlers really want to exert themselves doing a useful job. Liz just reminds me that she doesn't give him anything fragile, anything that needs to go in the fridge or freezer right away, and she tries to remember to bring re-usable bags (so she won't have that added worry about Bounty and plastic bags). 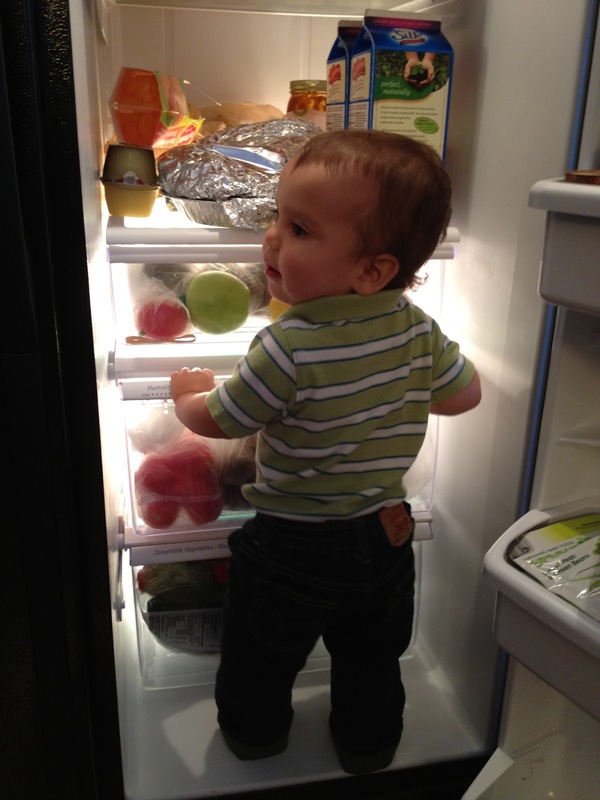 Remember that when toddlers most seem like a nuisance, try putting them to work--they really want to help!